UPDATE #3: The Comedy Bus is back! We are excited to announce that the comedy bus will be up and running on Thursday, May 2nd, and you all still have a chance to win! 11 people who tweet at @nycgo tomorrow and 11 people who tweet at @GrayLineNewYork on Friday will win a free pair of tickets to the 8 p.m. tour. Be sure to follow both accounts at 2 p.m. tomorrow and Friday for your chance to win. UPDATE #2: The Comedy Bus event has been postponed until the spring for a date TBD due to the weather problems we have recently faced in NYC. More information to come soon. NYC and Company has teamed up with Gray Line New York and the Upright Citizens Brigade to put together a comedy show unlike anything you’ve ever seen. On November 5th, comedian Chris Wilkes will be doing a live set atop a traveling double-decker bus to help kick off NYC Comedy Week, and all of the tickets to the show are FREE. In fact, there are going to be two shows on The Comedy Bus the night of the 5th. The first set will begin at 6 p.m. and the second will begin at 8 p.m. Both shows will begin just outside of Times Square and travel all around Midtown and Downtown Manhattan while Chris keeps the audience laughing. While the tickets are free, there is a catch: since there are only so many seats on a bus, you have to win them. Today at 2 p.m. and on Friday at the same time, @nycgo and @GrayLineNewYork, respectively, will send out a tweet opening the contest up. The first 11 people who respond will win a pair of tickets to the 6 o’clock show. It’s that easy. Tickets for the 8 p.m. show will be given away at a later date by both @nycgo and @GrayLineNewYork. Due to potentially sensitive language and content, this show will only be open to guests 18 years and older. 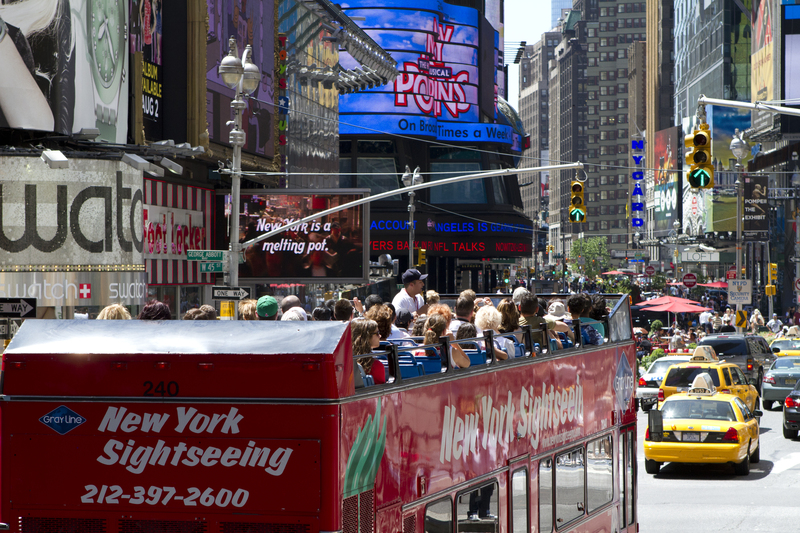 For the latest information on The Comedy Bus and Comedy Week and to win tickets to the shows, follow @GrayLineNewYork, @nycgo, @UCBTheatreNY and @chriswilkes1 on twitter now! Midnight Madness at Woodbury Common Premium Outlets is just around the corner! If you didn’t already know, the Friday after Thanksgiving is known as Black Friday because of all of the incredible deals promoted by stores. 50% off big screen TVs, $1,000 off a new camera; who knows what is going to be the big thing this year. The catch is, there is usually a limited supply so you have to get there early. How early do you need to get to the outlets on Black Friday? Well, the first stores are opening at 9 p.m. Thursday night and will stay open for the next 25 hours, so you should probably scarf down Thanksgiving dinner and head right over to Port Authority! How do you get to Woodbury Common Premium Outlets? Gray Line New York provides shuttle transportation to and from Woodbury Common Premium Outlets from Port Authority. For Black Friday, Gray Line New York – Woodbury Common Premium Outlets shuttle buses will begin running from 7:45 Thursday evening. More information. What stores are located at Woodbury Common Premium Outlets? There are over 220 different designer and brand name outlets to choose from when you go shopping on Black Friday. These outlets include Burberry, Coach, Dolce & Gabbana, Fendi, Giorgio Armani, Gucci, J.Crew, Lacoste, Nike, Polo Ralph Lauren, Prada, and many more. For Black Friday transportation from New York City to Woodbury Commons, visit Gray Line New York. For more information on Woodbury Common Premium Outlets, visit their official website. To some people, September 22nd marks the first day of fall. To others, the day Starbucks rolls out their pumpkin spice latte is the day that the leaves start changing in their minds. This year, that day was September 4th (a little too early for my taste, but I won’t complain), and since then Starbucks’ across the city have been serving up the delicious drinks. But if you want to try a fresh take on the beverage, Starbucks isn’t the answer. AQ Kafé is. This delectable drink can be found on Broadway just off Columbus Circle and is as good as it gets. Don’t get me wrong, I love the convenience of the Starbucks version, but if I find myself in Midtown, I’m going to AQ Kafé. If you’re a beer lover, than pumpkin season is likely one of your favorite times of year. It marks the end of the light, breezy beers of summer and the beginning of the full flavored, dark, heavy beers of the colder months. The pumpkin ale is one of the first beers in this transitional phase and offers a sweet yet spicy body for your palate. One of the best pumpkin ales that you’ll find anywhere in NYC is Heartland Brewery’s version. The Smiling Pumpkin Ale is a delicious addition to the pumpkin season festivities that will put a grin on your face. You will be able to find this beer in any of Heartland’s locations around Manhattan. I suppose pumpkin pie doesn’t necessarily fall into the same category as the previous two beverages. It doesn’t have the same “let’s add pumpkin to our already tasty treat” feel to it, but pumpkin pie is such an important part of pumpkin season that I cannot leave it off the list. Everyone in New York claims to have the best pumpkin pie in the city. I truly cannot tell you where the best is, but I recently ate a delicious piece of pie from the Little Pie Company in Midtown West. It is simple and to the point, but when it comes to pie I think it is more of a personal preference. That is why I suggest you wait until November, grab those pumpkins that you’ve been using as Halloween decorations and make your own version. Here are 20 different recipes for you to choose from to fit your tastes. 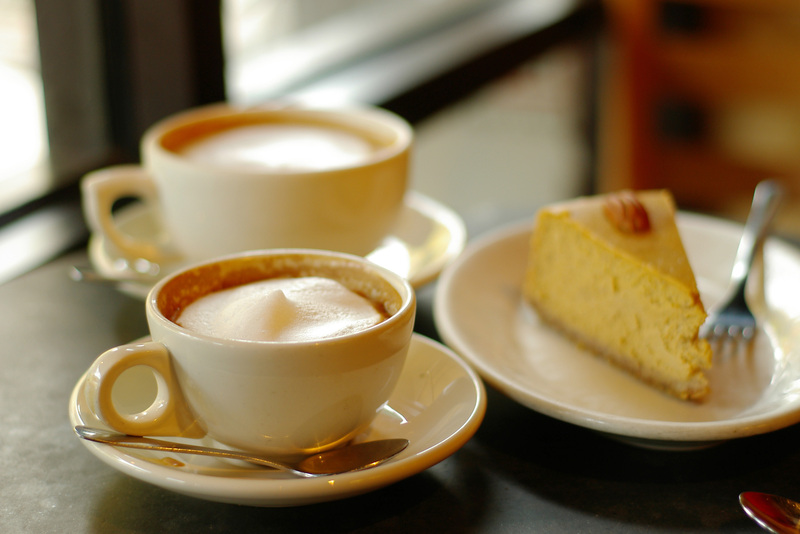 So, what pumpkin treats do you love during Pumpkin Season? Where do you find them in NYC? Share your thoughts with us on Facebook and Twitter now! In a fall state of mind? Check out this fall foliage brunch cruise and see New York City change before your eyes. 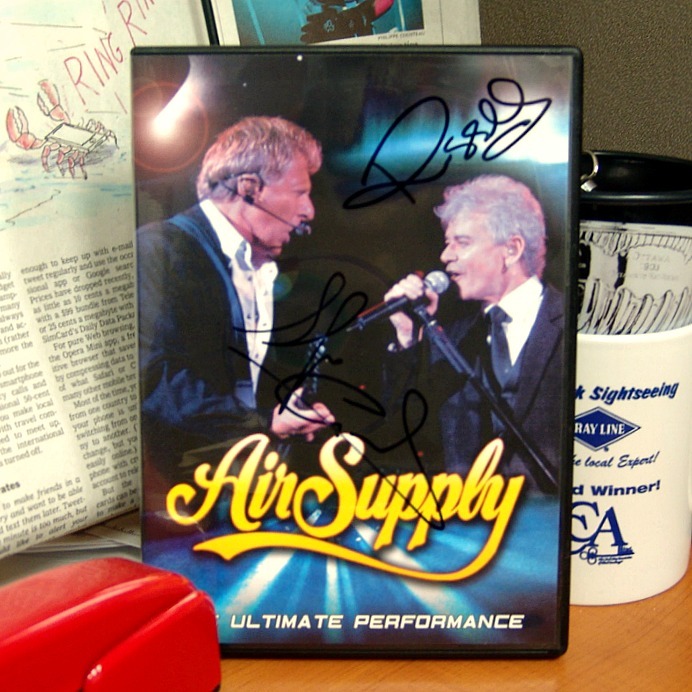 Spot the Bus: Air Supply! 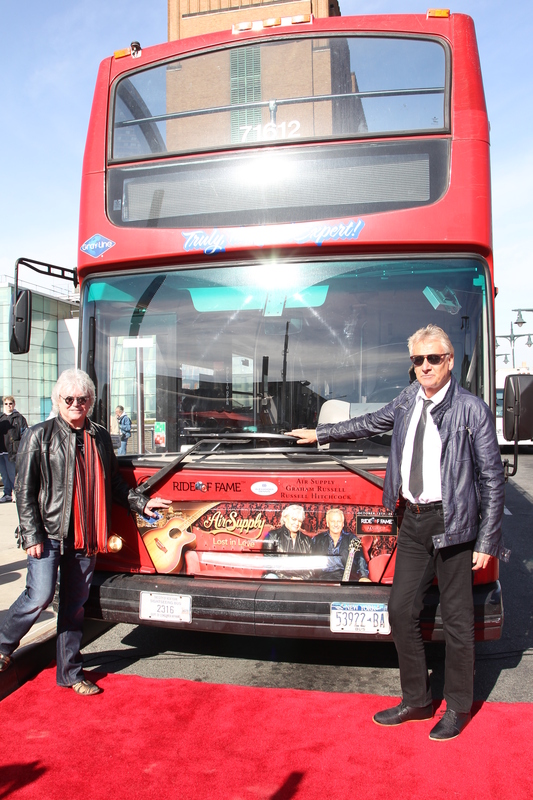 Air Supply is the newest member of the Ride of Fame, and their inaugural IIi double-decker bus is riding around New York City every day. This is the Air Supply ROF bus that you need to find! 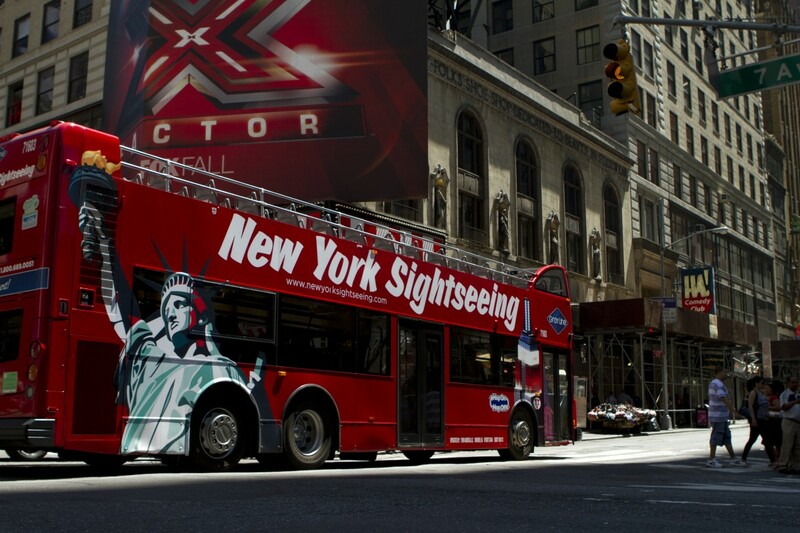 If you see Air Supply’s bus driving around NYC, snap a picture of it and share it with us. Post it on our facebook page or tag it on twitter with the hashtag #SpotTheBus and if you’re the first person to share the picture with us, you will win the autographed DVD below! Photo must be taken on or after 10/19/2012. The winner must be the person who spotted the bus. Submitting somebody else’s photo leaves you subject to disqualification. UPDATE: Balloon inflation begins today at 3 p.m. on the Upper West Side between 77th Street and 81st Street on Central Park West. All of the balloons will be inflated between 3 p.m. and 10 p.m.
We are just one day away from the 86th annual Macy’s Thanksgiving Day Parade here in New York City. The parade will take place on November 22nd (Thanksgiving) at 9 a.m. and will run until noon. You can watch the live broadcast of the parade on your local NBC affiliate. The Parade will include floats and performances and balloons of all of your favorite characters. 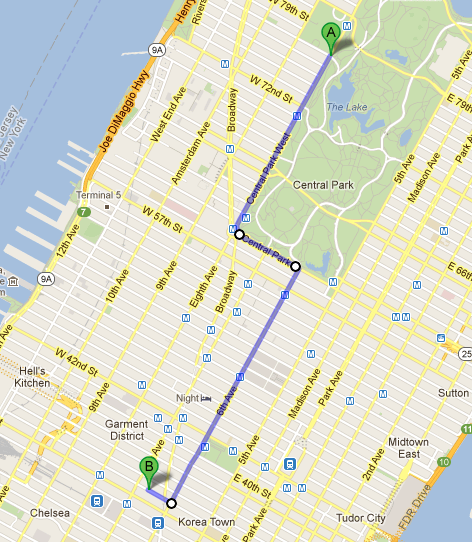 For more information on the parade, visit Macy’s official 2012 Thanksgiving Day Parade website. If you’re not worried about Thanksgiving and want to know more about Black Friday in NYC, stay tuned because we will have all of the latest information on the best bargains and deals, including how to take in the night/morning/day at Woodbury Commons Premium Outlets. Tonight while many New Yorkers will be tuning into TBS with hopes that the slumping Yankees will somehow turn it around against Justin Verlander, many more will be taking in the second Presidential Debate. Millions of people all over the world will be watching tonight as President Barack Obama and Governor Mitt Romney take center stage right here in New York. Just outside of NYC boarders on Long Island, tonight’s debate, on domestic and foreign policy, will be held at Hofstra University. Tonight’s debate will last 90 minutes and be coordinated in a town hall format. This means that, unlike the first round, there will not be a moderator who is in charge of asking the questions and pushing the debate along. Instead, “undecided” Long Islanders will be asking the candidates the questions that they want answered. This unique opportunity gives Long Islanders the chance for their voices to be heard by the man who is going to lead our great nation for the next four years, and the millions who will be watching. This time, unlike the famous town hall style debate from 20 years ago, there will be more structure. Roughly 80 audience members from long island with various socio-economical, racial and political backgrounds have been selected by the Gallup Organization to submit questions. About 12 of those people will be allowed to ask the two candidates their question. 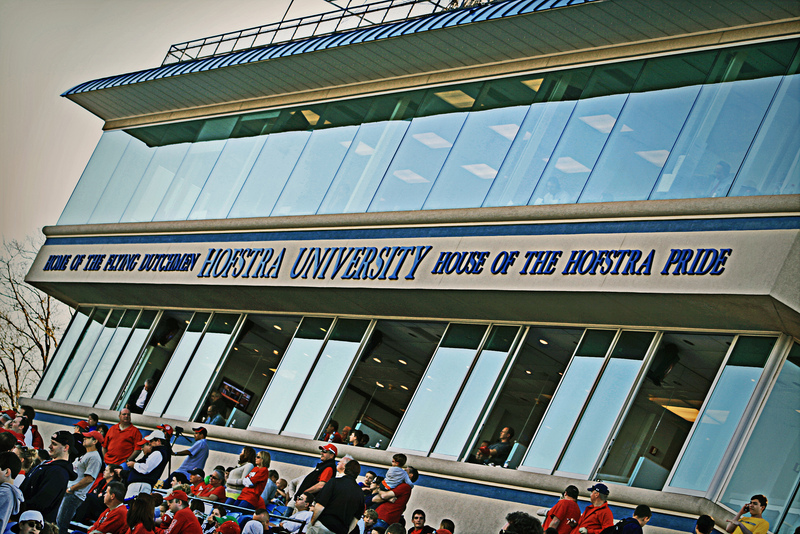 Hofstra University recognizes what a special opportunity this is to host the second Presidential Debate for the students and residents of Long Island. In preparation for tonight’s debate, Hofstra reportedly spent $3 million in planning and enhanced security measures. We want to hear from you. Which of our four major tours is your favorite? The Uptown Loop? Downtown Loop? Brooklyn Loop? Night Tour Loop? Tweet to us which tour is your favorite, be sure to include why you love it the most and you will be entered to win! It’s that easy! At the end of the week, we’ll randomly draw a winner for the prize. Click here to send your tweet! 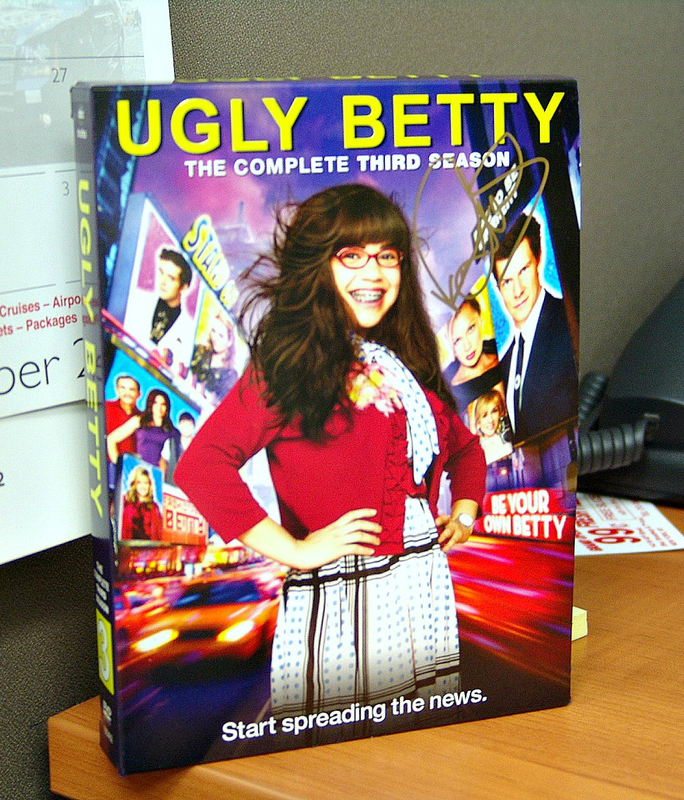 To claim your prize, you must live in the continental United States or be able to pick up the box set in New York City. Standard New York contest rules apply.